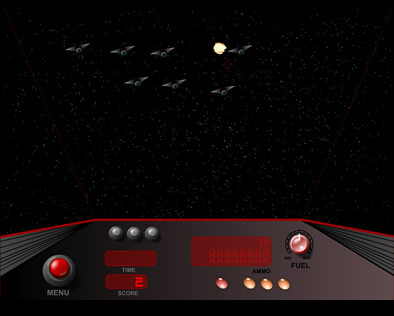 In Galactic War, you become a space ship pilot and have to shoot enemies moving in front of you. Three game modes are available: bullet- restricted, time-restricted and infinite game. A simple pong game for 2 players. The top player moves with the mouse while the bottom player uses the arrow keys. Score is shown next to each player.